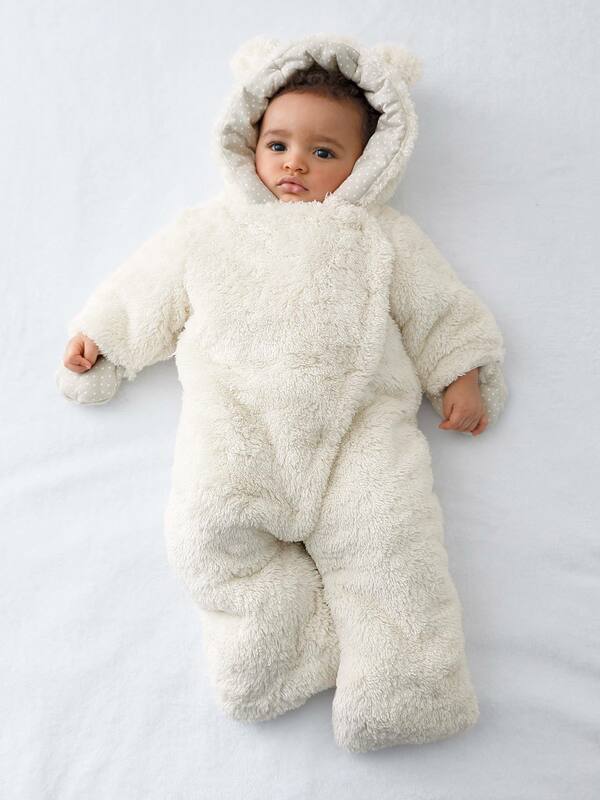 This snowsuit feels as soft as a teddy bear to beat the winter chill. It is ultra soft, ultra warm and fun with faux fur and little ears on the hood. To make mum's life easier this baby's convertible snowsuit is machine washable at a low temperature. Lining in 100% printed cotton jersey knit fabric.